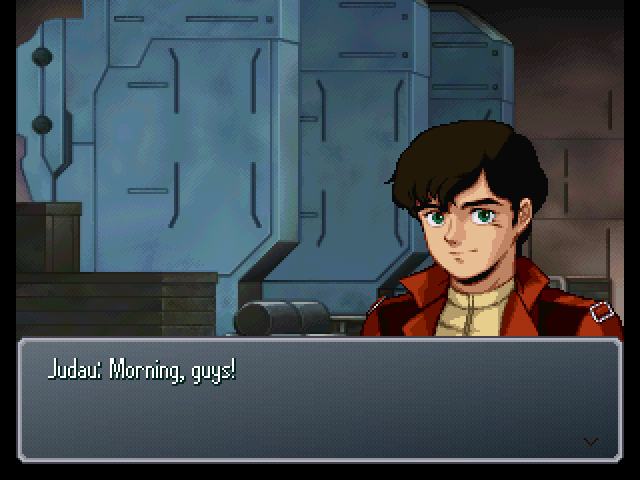 : Good morning, Judau... You're up early. : Breakfast has been great lately, so I find myself getting up earlier. : ...That's pretty practical of you. : Hey, it's good bread, and it's first-come, first-served. 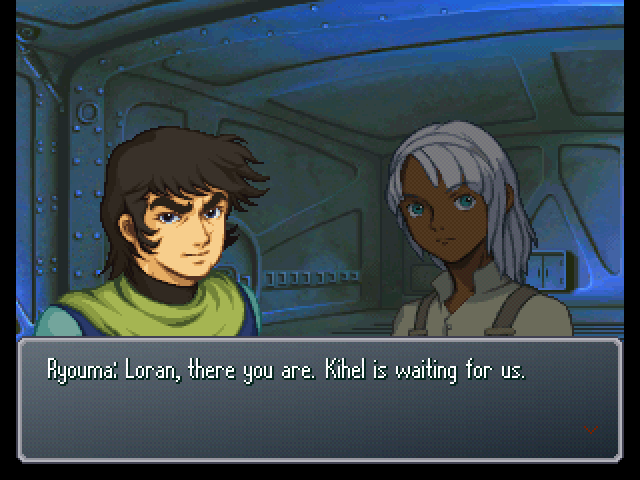 : You mean the bread Loran's friend Keith cooks, right? I like it, too. : I get it. You're bringing it to Tifa, huh? : Eh? E-er, uh... Maybe. : You're always such a big softie. : Hey, girls love getting treated that way. : The way I figure, you want bread, you should get it yourself. : That'd make it easier for you to get more, huh? : You just don't get a woman's heart. 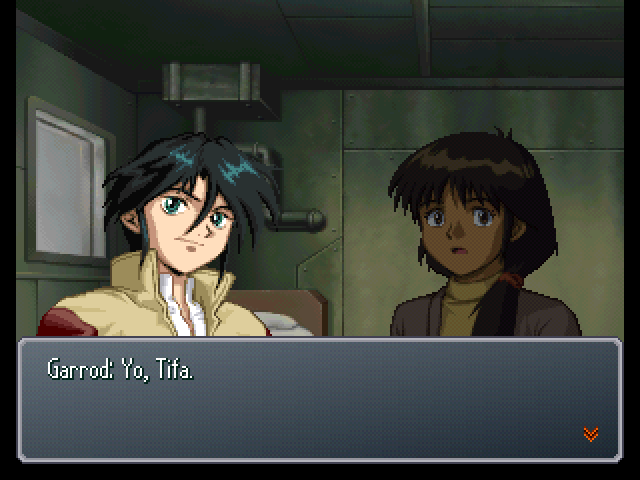 : Yo, Garrod. Has Tifa told you anything about you-know-what? : ...Not yet. Got a problem with that? : What's got you all angry? Or did you and her have a fight? : Wh... what's with you? : ...No kidding, you come running when conversations like these come up, don't you? : Oh, lay off. So, what base are you at? : Yeah, uh-huh. Bringing meals every day? You have to be making some progress, right? : Getting her ready, bit by bit? : Ahahaha, he's red as a tomato! : But you could also wait, and give things time to settle themselves. : But time can be a harsh mistress sometimes. : They just said their peace and walked off. : Anyway... Strike while the iron is hot. Besides, acting on emotions is what you do best. 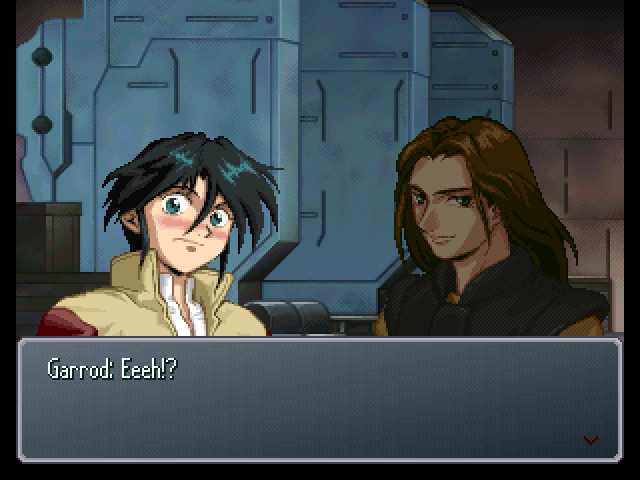 : Garrod... I'm rooting for you. : Uh, yeah, sure. I'm going to Tifa's room! : Yeesh. Doesn't look like we'll see progress any time soon. : Wh-what is it, Miss? : Where are you going? : Again? You two have been joined at the hip lately. : You're not hiding anything, are you? You know, let's tell her the truth. Her sister is in danger, after all. : Forget that, there's something I want to ask. : Why don't you refuse to pilot the White Doll? Uh, Sochie? 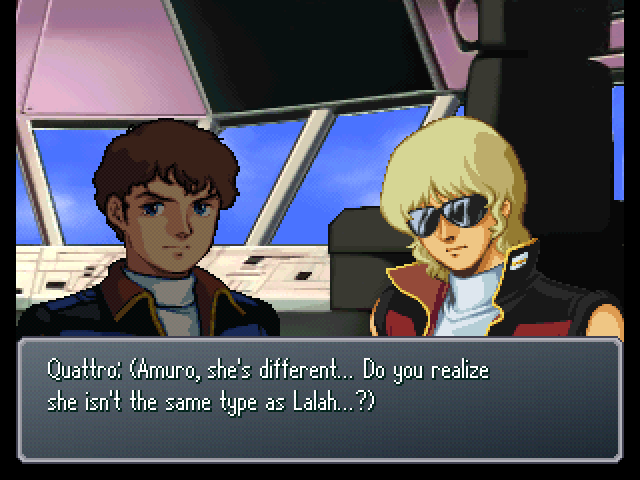 Loran isn't piloting the Turn-A anymore. : We're in a war, so someone has to do it. I have to do my part, too. : It's too bad for the Militia, hm? : You don't go out on the front lines too often on your own initiative. : Entrusting the White Doll to someone like that is such a waste of resources. : Hey, I go out when it's necessary. : So you say, while chasing my sister's behind. : Th-that's not fair... 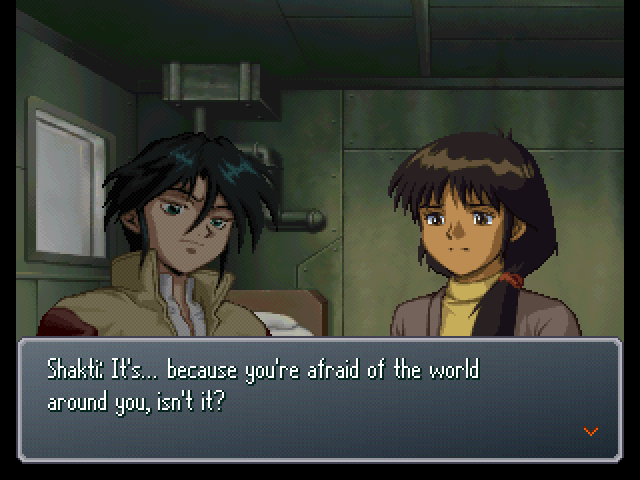 I worry about you, too! : Don't keep thinking of me as the girl that comes after my sister! : Oh, so you weren't meeting up with her alone? : No? What of it? 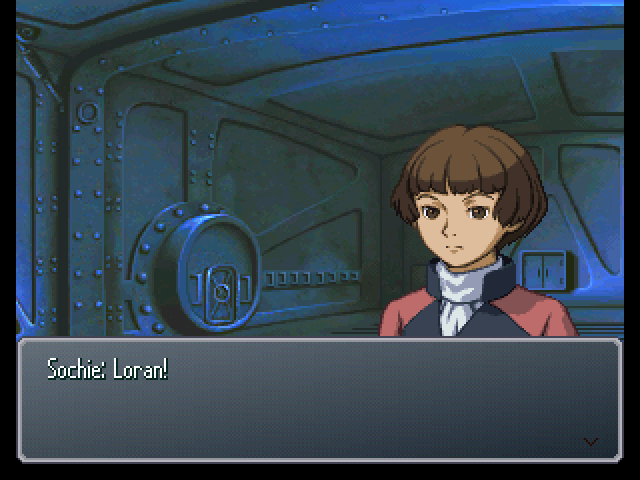 : Okay, let's go, Loran. : Yes. The Innocent's headquarters is not here, in North Ameria... It is believed that it exists in Gallia. 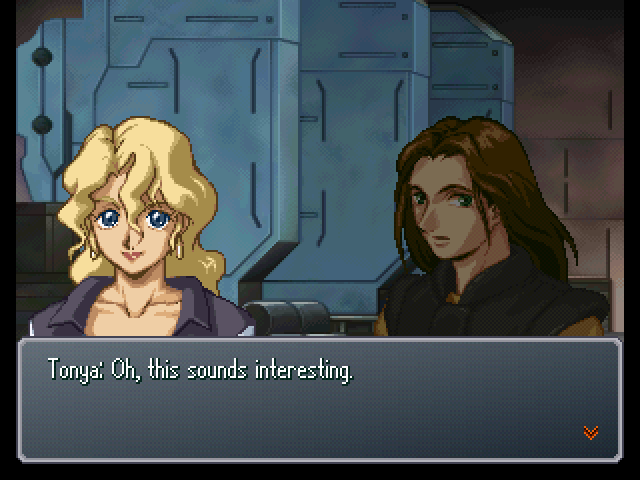 : Gallia... That's where Tetsuya, Kenichi, and their friends got sent. : Yes. The Innocent's leader, Arthur Rank should be within their headquarters, on that continent. : But... Do you really think war between the moon and the Earth can be averted just by talking to him? I mean, there's the Fort Severn incident to consider. They really want a fight with the Moon Race. : The Innocent are not all bloodthirsty, nor are the Moon Race. : I can tell that just from looking at you... 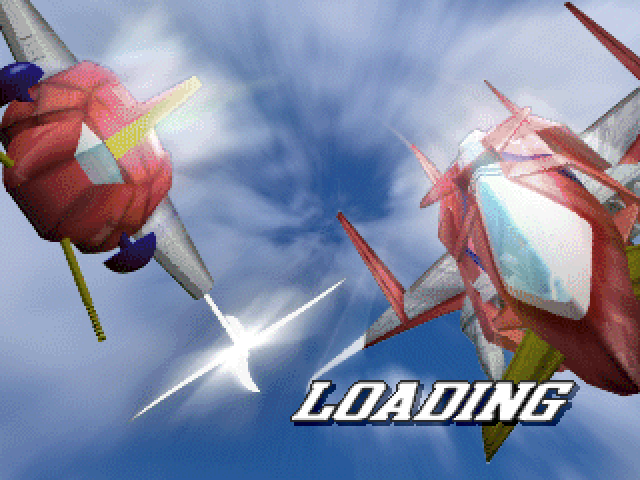 Going to Gallia now would just be walking right into a hornet's nest, wouldn't it? : Yes, you're right. How do you plan to reach there, Lady Diana? : (.........) I plan to find a way to go, even if I must go alone. : Y-you can't go there alone! : But I cannot borrow all of your strength, either. Either way, we must hurry... There are limits to how long Kihel and Lt. Harry can keep Phil's group in check. : But... reckless actions won't change anything. 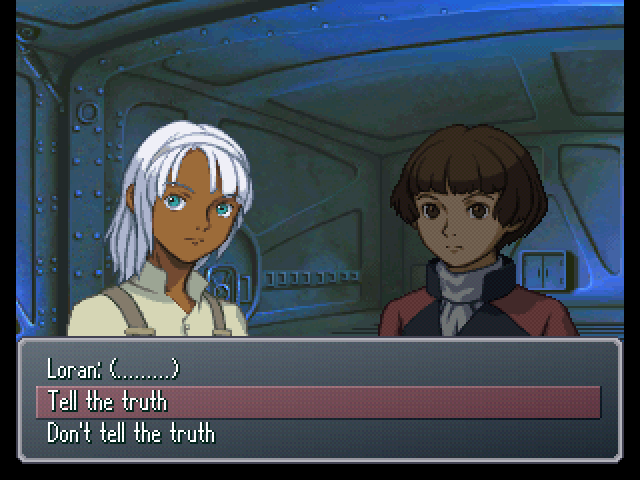 : (.........) Diana, Loran... Could you leave this part to me? : Yes... I'll come up with something. Please don't do anything hasty until then. : Very well, Ryouma. I shall rely upon your words. : Yo! 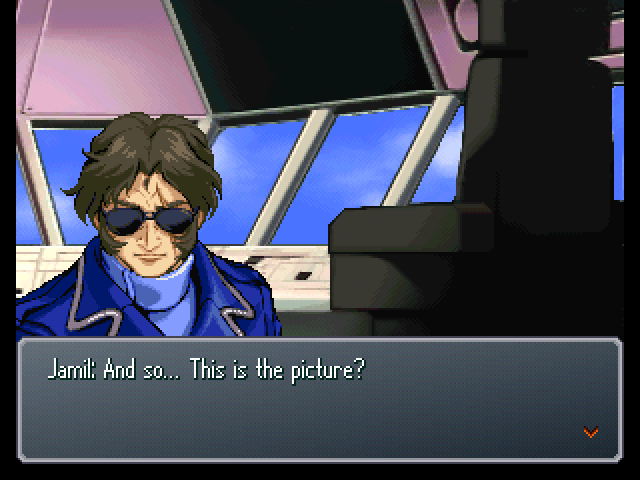 What's up, Ryouma? Why the long face? : You look like something's eating you. : What are you up to? : Me? I'm going to visit Tifa. 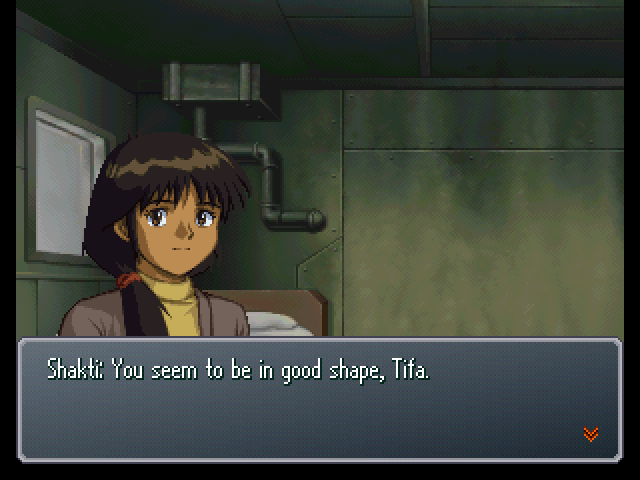 Tifa's good for hints on what we should do now. : (A hint...) Garrod, would you mind letting me see her, too? : Uh... I guess there's no reason to say no. Sure, come with me. : No, Karl! Be good. You'll mess up Tifa's drawing. : N-no, please, you first, Tifa. 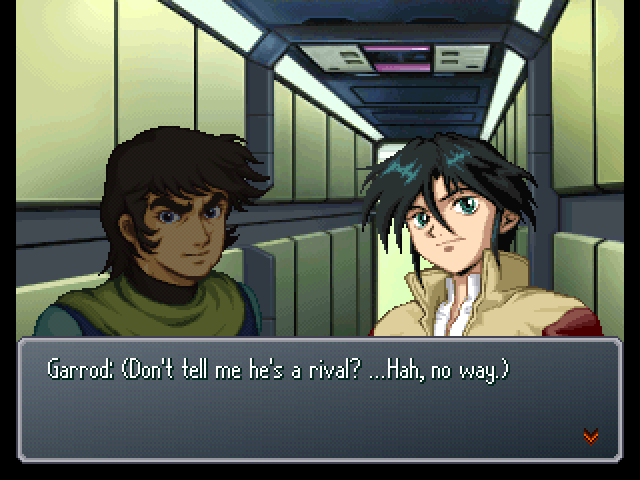 : Garrod... And Ryouma, too. : Please pardon the intrusion, Shakti. : Tifa, have you figured anything out yet about you-know-what? : Yes... See this picture? : Have you found anything else? 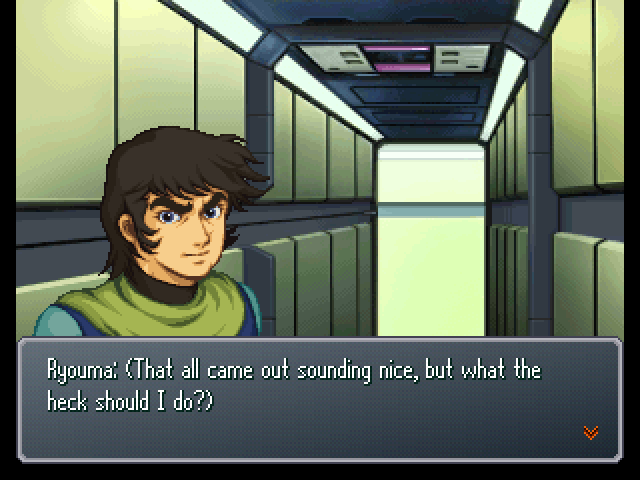 : Even Newtypes can't completely predict the future, Ryouma. : N-no, there's nothing to apologize for. People aren't there for others' convenience. : Well, it'd help a lot if we knew where to find a coastline with a crag. : Why not ask someone familiar with geography? : Oh yeah! Old man Sid's been all over the place, he might know! : Next time, want to come to the cafeteria for breakfast like everyone else? : E-er, uh, haha... What am I saying...? : I'm... starting to see why Tifa doesn't have much contact with others. : But, people can't live all alone. : It's well-drawn, isn't it? : Yup, it's Tifa's hidden talent. : Sid, does this coastline with a crag ring any bells? : Old man Sid... Isn't this a coastline in Southern Inglessa? : Coastline... Is it facing our Gallia continent, by any chance? 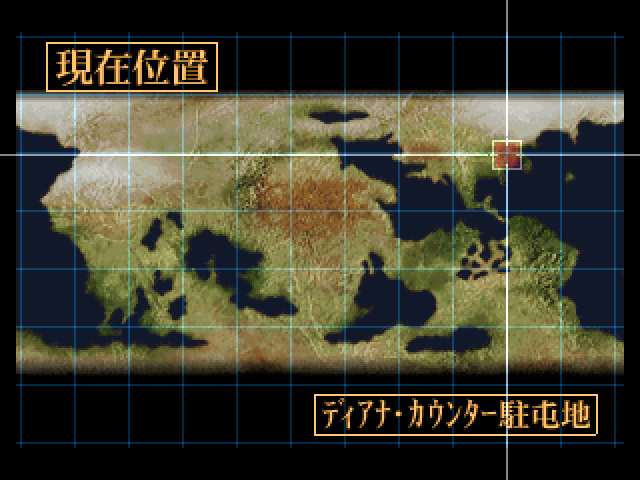 : Yeah, the direction it's facing is towards Gallia. : Could this be telling us to go to Gallia? : You're saying that if we go there... We'll find something that will help us accomplish our goals? : If we trust Tifa's abilities. : Bright, let's have the Preventers head there. Some of our missing crew might be there. : You have a point. Have the crew prepare to depart. : Then, Captain Bright... The Freeden will join you. : Does that go with your objectives? : We move according to Tifa's words. They're like a compass. : ...That's how we've done things ever since we met her. : Then I guess we'll join you, too. : Oh, are you certain? : Yes, we've got no more reason to go to Fort Severn. : And it might be best to get back to Gallia. : (.........) But if you all go to Gallia, it will drastically reduce our military power. : But if you think about it, it could work out better this way. : The Innocent and the Moon Race... 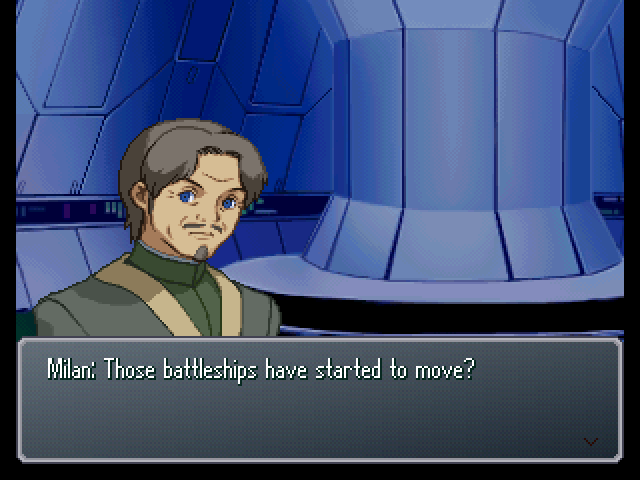 They're all interested in the Argama and the Freeden's Black History technology, right? : If everyone goes to Gallia, their attention might also be drawn that way. : Since they want to get their hands on the GX and the White Doll... If we go to Gallia, they follow us there, right? : It could change the battlefield in a major way. : ...I see. That could make it easier to reopen negotiations with the Moon Race. And with the Mountain Cycles, even the Militia should be able to defend itself quite handily. Then, Captain Bright, Captain Jamil, Lady Elche... We Militia will remain here in Kingsley and continue excavation of the spaceship. : Lady Elche, I leave Laura and the others in your care. Please take good care of them. : Sarah, step up preparations for the Freeden's departure. : Well then, everyone, do take care... I shall be awaiting your safe return. : Yes, sir. They seem to be bound for the coast facing towards Gallia. 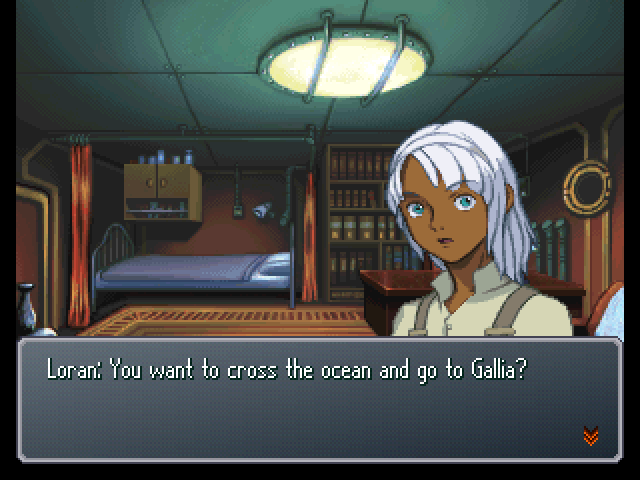 : Gallia, that's the continent where the Innocent are headquartered. : They don't want to join hands with the Innocent, do they? : Impossible. Fort Severn's Innocent attacked them, remember? : But with us here, the Earthnoids could decide to join forces. : We can't let them go without a fight. Let's prepare for full pursuit immediately. : But that would go against Lady Diana's orders. 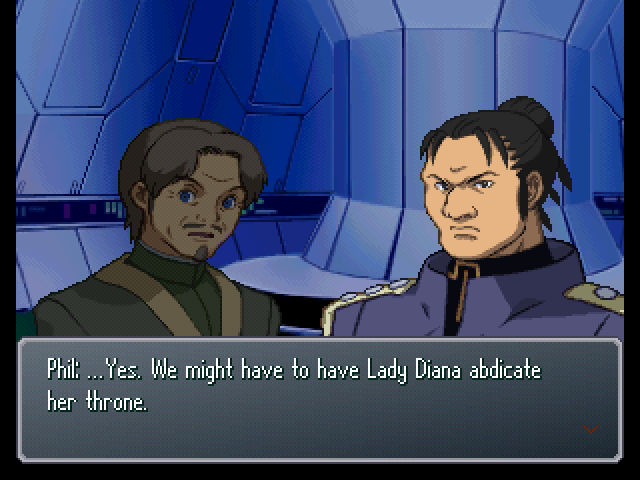 : (.........) I don't think it's possible to gain control of the Sunbelt through Lady Diana's methods. : Consul Milan, we've come to this Earth on a one-way ticket. We can't return to the moon. On top of that, if Agrippa and his group are up to something... We'll be isolated here, and just destroy ourselves! : In a worst-case scenario, I'd like for you to understand... We might be forced to declare the establishment of the Sunbelt nation alone.